With numerous AI councils and strategic plans being developed, 2018 was the year when governments, authorities, businesses woke up to the possibilities of AI and actively built frameworks for the journey ahead. 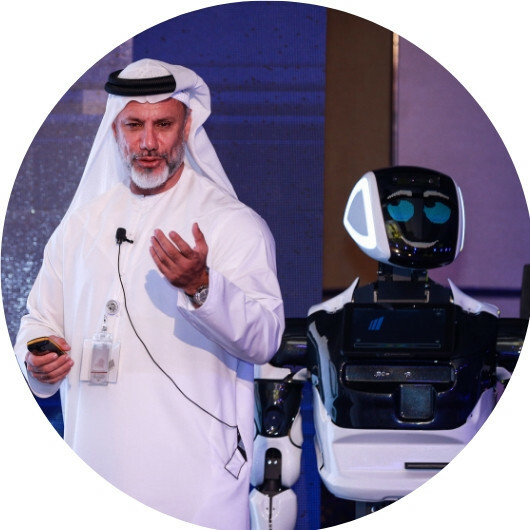 The Artificial Intelligence Week Middle East last year was the first-ever event in the region, which brought together a powerhouse of over 400 top-level executives in the region to ignite ideas, global thought leadership, knowledge sharing, entrepreneurship and innovation. Don't believe us? Take a look at what some of our attendees from our inaugural edition had to say! "I think it was a very good conference and had a lot of interaction with customers in the industry who want to know more and want to apply artificial intelligence right now in their industries." "It was one of the best conferences that I have been too recently!" "I wanted to thank the organisers for this great event, it has really been inspiring with lots of networking opportunities." "The feedback from the audience as well as the content provided by some of the speakers was absolutely amazing." The 2nd edition of the Artificial IntelligenceWeek Middle East will dive deep into fundamentals of partner selection, the variety of AI applications enabling business worldwide to set themselves apart from competition, uncovering revolutionary use cases and answering the painful questions stopping organisations from stepping into their AI journeys.